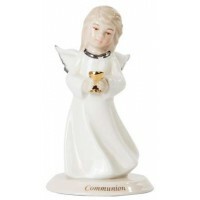 Delicate, hand painted features highlight this fine porcelain collectible angel figurine holding the dove of the Holy Spirit. 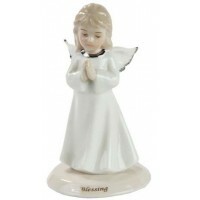 Made of fine porcelain, this hand painted figurine is 4 inches high. 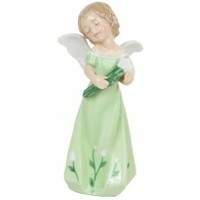 Soft colors and a beautiful face makes this angel a true treasure and a wonderful gift. She holds the dove of the Holy Spirit. 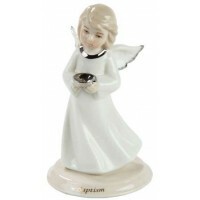 Item Number: PT-10146 | Approximate Size (Inches): 2.00 wide x 2.00 deep x 4.00 high | Approximate Shipping Weight: 0.50 lbs.